TRANSFORMATIONAL PARTNERSHIP - How your company and your employees can make a difference to society! World Vision offers your company and your employees an opportunity to touch lives. Our easy to latch-on platform will allow your company to strengthen your CSR and enhance branding. Your humanitarian efforts will also infuse your employees with a sense of purpose, build camaraderie and create commitment. There are many ways you can contribute to World Vision’s cause and boundless possibilities in making a difference to impoverished children. You and your team could choose to support a sector of need close to your hearts, or transform the lives of vulnerable children through holistic sponsorship. Employee engagement is welcomed – great for team building! We welcome any other creative ideas or suggestions you may have to help impoverished children and the community they live in. Just email us at singapore@worldvision.org.sg or call us at 6922 0100. You can also download our corporate brochure here to learn more. 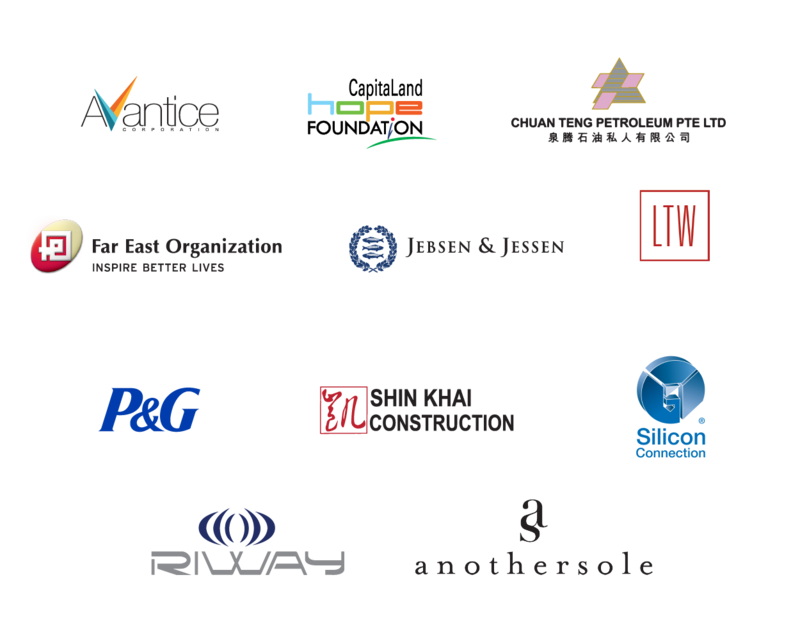 We are extremely thankful to the many businesses and corporates that support our work around the world. Our strategic relationships and corporate partners enable us to give hope to millions.